The PGA of America is looking for student golfers with an established USGA handicap to pair up with PGA professionals for a one-day teaching event. This unique teaching tournament attracts the best coaches within the PGA and promises to help you with your golf game. This is a great opportunity to have a PGA professional to serve as your own personal coach and caddie for the day. The teachers themselves do not play. Students win prizes, coaches win prize money based on how well his/her student performs. Each participant receives a 2 hour private lesson to begin the day. The lessons are designed to meet each person’s individual needs. The lesson is then followed by an 18 hole playing lesson on a championship style course. A box lunch and an appetizer reception will be provided. A follow up lesson with your coach at his/her facility following the event is also included, (if available). We’ll conduct a silent auction and raffle to help support the PGA Foundation. Space is limited to 60 students with an established handicap. Bring a friend, make your own group! We hope you will join us again! Please email your name, phone number and GHIN as soon as possible. The entry fee for each student is $350. Tim Johnson has been the head pro at El Dorado Park in Long beach since 2005. Tim was nominated for Teacher of the Year by the Southern California PGA in 2013 & 2014. Tim was also nominated for the Bill Straubaugh award & the Horton Smith award 2015. Tim was the Southern California PGA pro/student champion in 2010. Tim is also the founder of the Tee Off Together Foundation. TOT is a non-profit golf program for at-risk kids, foster kids, and kids within the juvenal hall system. Our next project is bringing golf to the kids of Compton. TOT offers a try-out for 7th-8th graders. TOT will hand pick 20 boys & girls to begin an 8 level golf program which includes STEM and life skills. These boys & girls will train and compete in a national PGA junior league during the summer. Most kids will continue to play junior tournaments, and high school golf. TOT continues to teach these kids through high school, and hopefully some will move on to play NCAA golf. I’m committed to finding and developing some great talent within the City of Compton. Thank you so much for your support. Tim created America’s Golf Coach to help people play better golf. Having your coach with you every step of the way almost guarantees success. This teaching method/competition has been proven to work. These PGA professionals will teach you how to play your best golf in a competition setting. It doesn’t get any better than that! Tim prides myself on great service that will exceed your expectation. Come with an open mind and a positive attitude, and you’ll go home with a better golf game. Whether you are an Amateur or Pro, you will have an unforgettable golf experience at an AGC competition. Tim has dedicated his entire life to the game of golf. 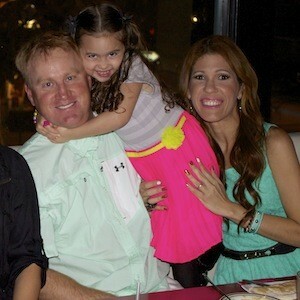 He is supported by is wife Luciana and his two beautiful kids: Ashley & Emily. He strives everyday to be a better golf professional, husband and dad. Copyright © 2019 America's Golf Coach. All Rights Reserved.